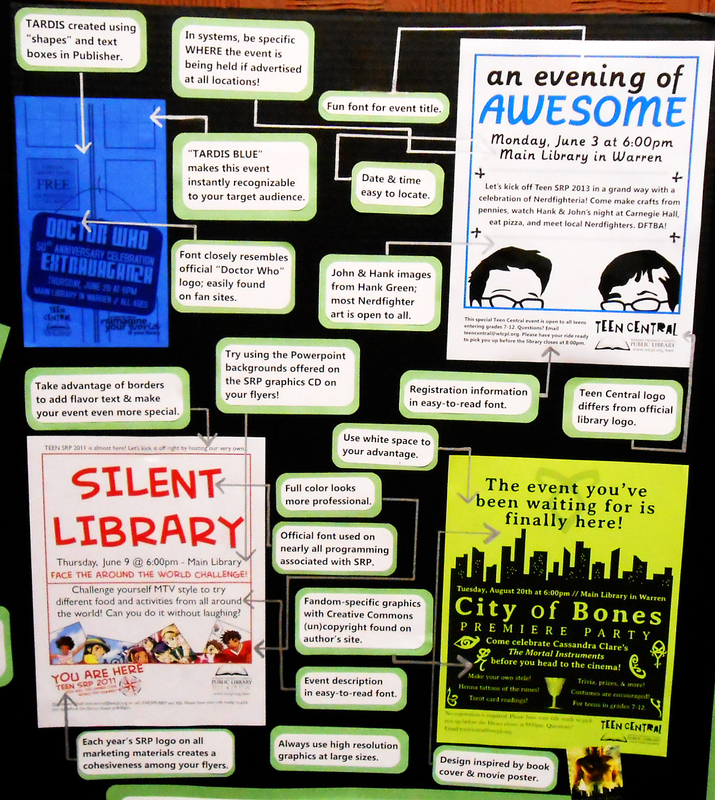 Hello fellow librarians of Ohio, & all who are looking for information on creating graphics to reach the teen audience: Anatomy of a Teen Event Flyer was a poster presentation at the 2013 Ohio Library Council Convention & Expo. Please feel free to print off any & all of the information below! PS: If you save the images, it’ll save the hi-res version, so you’ll be able to read it better! Yay! As always, if you have any questions, be sure to let me know! Update 01.12.16: Go here for samples of what I’ve created over the years.